Peter appeared in many musicals in the 1950s and 1960s, in fact we believe a total of thirteen, fourteen if you count separately his appearances in the 1962/63 London productions and the 1966 tour of Lock Up Your Daughters. For more details about some of these musicals, please click on the links. A number of articles referring to Peter’s career imply that all the musicals he was in were flops; indeed, Peter himself frequently related a story against himself confirming this. However, this was not actually the truth. Yes, some of the musicals he appeared in were failures but by no means all. His first role of note on a London stage was as the King of Spain in You’ll Be Lucky, with Al Read headlining, though the show was really a review not a musical. It had a short run in Oxford before opening at The Adelphi in February 1954 where it received 436 performances, closing in November that year. Then in 1956 Peter had two short-lived roles, firstly as Tom in Star Maker with Cicely Courtneidge, which opened in Glasgow and toured to Manchester, Coventry, Edinburgh, Glasgow and Blackpool but didn't make it to London. Also appearing was Una Stubbs who would become his first wife. Later he was the Police Sergeant in Harmony Close which went to Glasgow, Liverpool and Birmingham; this musical was seen in the capital the following year but as a revised version and with a completely different cast. Peter’s next musical was much more successful. Grab Me A Gondola opened in October 1956 in Windsor (Peter isn't named in the Windsor programme) before going to the Hammersmith Lyric and later transferring to Shaftesbury Avenue where it stayed until July 1958, though it’s not known when Peter left the production. Una Stubbs was again one of the cast. This was obviously a huge disappointment to him; one wonders how different a path his career would have taken over the next few years had he appeared in what was one of the most successful ever musicals. Following this setback, Peter took himself off to Rome in search of work at the de Laurentus studios. Sandy Wilson’s Valmouth, in which he played David Tooke, brought a change of fortune. Although it received mixed reviews, the music had a successful short season at the Lyric Hammersmith and then transferred to the Saville Theatre where it notched up 102 performances. Amongst the cast of Valmouth were Cleo Laine and Fenella Fielding. The musical also gave Peter a nice solo in What Do I Want With Love? In 1959 he appeared as Leander in The Love Doctor, with Ian Carmichael and Joan Heale, which opened in London on 12 October and promptly closed on 24 October! Hooray For Daisy by Julian Slade and Dorothy Reynolds was more successful in that it played for two months in Bristol and later transferred to Hammersmith. Peter, as A Stranger, was not in the cast for the London production but Slade and Reynolds offered him the lead role of Tom/Constable Blenkinsop in their next musical. Follow That Girl opened in London on 17 March. This too received mixed reviews but Peter’s performance was generally praised and the musical had 211 performances at the Vaudeville Theatre. Appearing opposite Peter was Susan Hampshire and also in the cast were Patricia Routledge and James Cairncross. The musical included several good songs, the best being the title song, a very catchy number sung by Peter. His next appearance was in the The Fantasticks which promised much but turned out to be short-lived. The musical, despite a very long run off Broadway, only had forty-four performances at the Apollo Theatre in London. The well-known song Try To Remember comes from The Fantasticks. The most successful musical Peter has appeared in is Lock Up Your Daughters. 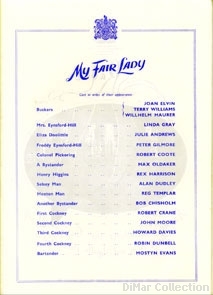 The original production opened at the Mermaid in 1959 and was revived there even more successfully three years later, transferring in August 1962 to Her Majesty’s Theatre in the Haymarket where it remained until November 1963. The part of Ramble is said to be one of Peter’s favourite roles. After this long run, Peter’s next musical venture, All In Love, was another flop, lasting only twenty-two performances, despite the presence of Ronnie Barker, James Fox and jazz singer Annie Ross. 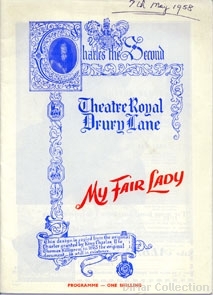 One of the problems lay in the venue, the May Fair Theatre being unsuitable for this type of production which was a musical version of Richard Brinsley Sheridan’s The Rivals. 1966 brought a return to the role of Ramble. A short production of Lock Up Your Daughters at the Belgrade Theatre, Coventry at the start of the year was so successful that a short tour was organised to Brighton, Birmingham, Hull plus a return to Coventry. Peter wasn’t in the original Coventry cast but was part of the tour. Peter’s final appearance in a musical was as Captain Macheath (a role not dissimilar to Ramble) in The Beggar’s Opera. Appearing opposite him in the 1968 production as Polly was Jan Waters, who he married two years later. The musical was part of both the Cambridge and Edinburgh Festivals and then opened for a short London run on 12 September. So Peter has certainly experienced more than his fair share of musical disasters but he has also had a number of personal successes.